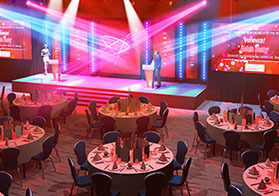 to smaller more intimate, themed events. 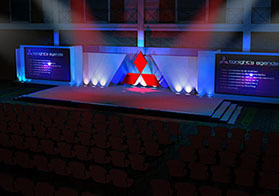 A visual created for a small, intimate presentation event. Visual showing several simultaneous lighting states and stage sun strips. 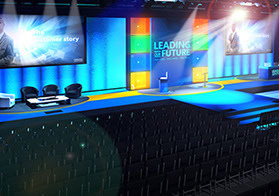 Visual created via a third party for Microsoft, showing stage furniture & stage lightboxes. 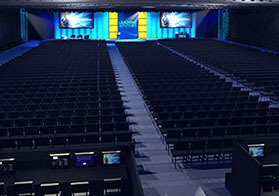 Second of two for Microsoft - showing the huge array of seating, and the control centre. 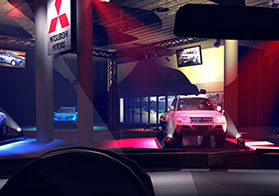 2012 event visual displaying several Mitsubishi vehicles in a show environment. Another Mitsubishi visual. 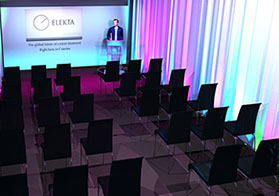 This one is a conference set from 2008. 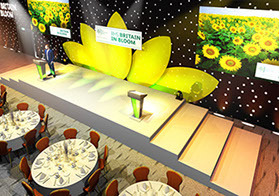 Visual from 2014 - An extravagent stage set for the Royal Horticultural Society. 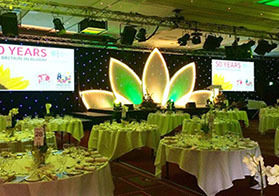 And this is a photograph of the actual RHS stage set... pretty close! 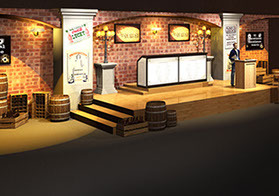 A superbly inventive event design - the theme was 'prohibition era'.